"Jean is an awesome Instructor! I highly recommend her! She is outgoing and easy to talk to! She is very knowledgeable in anatomy. She understands the body and how to create your optimal you! Jean loves her job and it shows! She is always keeping herself current with her own Pilates practice!" "Really makes working out fun. Has great enthusiasm and very knowledgeable. Wants to help you achieve your goals and really takes interest in you." "Jean shares her expertise in a warm and consistent manner when teaching. Jean pays attention to each client and is encouraging. Her classes are quite effective!" Jean Chen Smith is a marathon runner who came to find Pilates after a serious running injury nine years ago. Pilates allowed her to build strength and eventually return to long distance running. While commuting to and working in New York full-time as a Buyer in the fashion industry, she obtained her comprehensive Mat and Apparatus teacher certifications from Balanced Body. 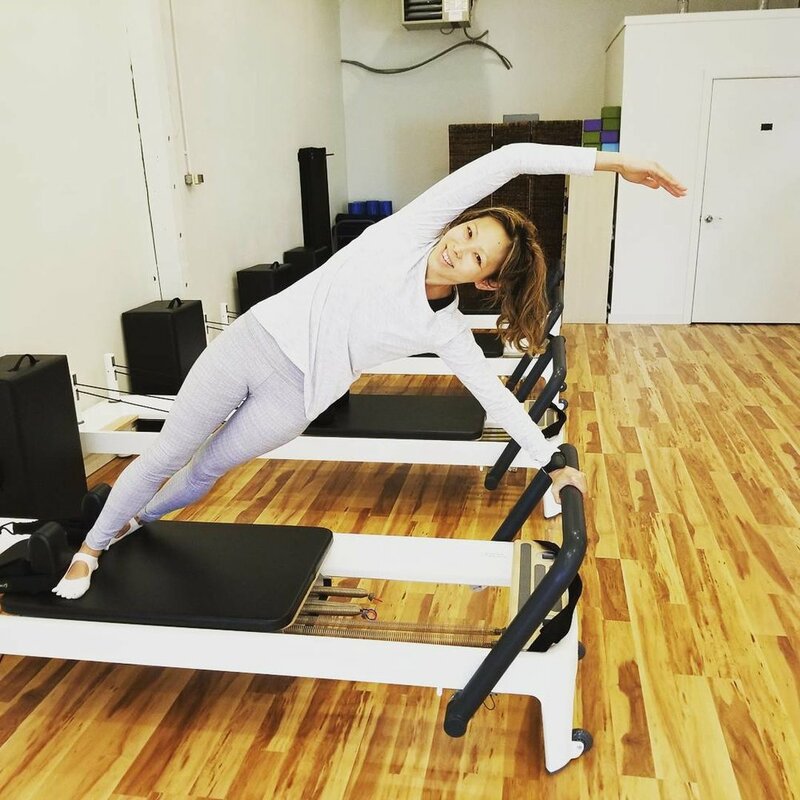 Jean wants to share her love of Pilates with others who want to strengthen their cores, tone their bodies, recover from injury, or just want a challenging and fun workout! After 10 years of visiting Corvallis with her husband Jason Smith, who grew up in the town, the couple decided to make the move from the East coast. When not teaching or taking Pilates classes, Jean can be found running, writing her column for a national newspaper and spending time with family and friends as well as her dog Coco and cat Belle. Amanda is a native New Yorker who relocated to the west coast for graduate school. She found yoga after her freshman year of college. Her engineering course load and a recently diagnosed medical condition left Amanda in physical pain and struggling with her mental health. That's when Amanda's mom suggested she try yoga. A summer of diving into daily asana practice showed Amanda the healing powers of yoga. She completed her 200 HR program in NYC at Laughing Lotus in 2017, and follows the Lotus Flow model of VInyasa Yoga in her teaching. 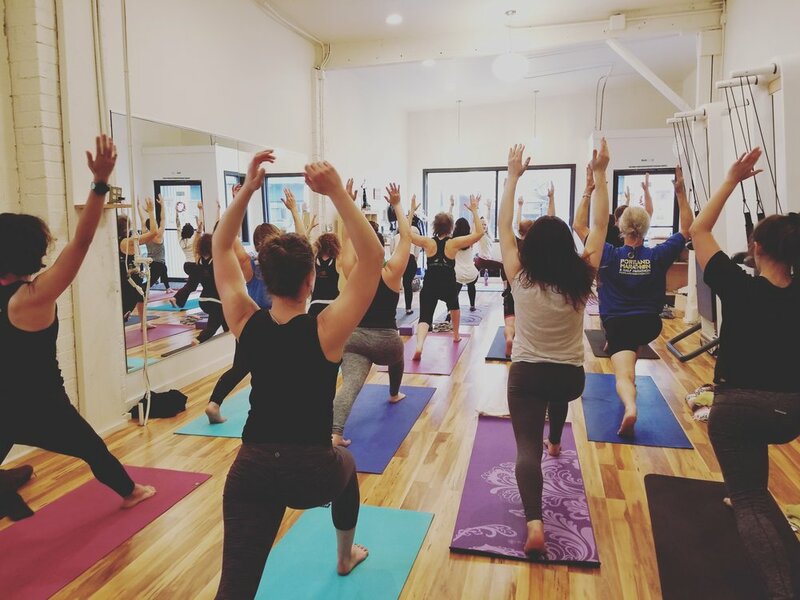 Amanda is honored to share her love for a practice that connects the mind, body and spirit towards a greater sense of unity. Her favorite mantra is "Lokah Samastah Sukhino Bhavantu," which translates to "may all beings everywhere be happy, wild and free, and may the thoughts, words and actions of my own life contribute in some way to that happiness and to that freedom for all." Amanda hopes to help others foster a love for themselves and the world around them through the healing powers of the yoga practice. Whatever your shape or size, man or woman, all are welcome in our space. Studio Cloud 9 was created out of the idea that we CAN find our Perfect Cloud 9, or state of euphoria, right here on earth. It begins by cherishing and respecting our bodies and doing more of the things we love. The last piece of the puzzle is loving our Community - coming to the studio as if we are old friends, saying hello. Stay awhile and connect with others who have the same passion for health and fitness as you do. The Boutique contains lovingly curated items that relate back to health, fitness and fashion. You will find brands such as Nux, Onzie and Belle Force activewear along with fun beauty products and special items for your home.